You may wish to add a personal or shared note to a client profile to document injuries, better remember client names, or remind yourself of client preferences. FitGrid Pro allows you to write Personal and Shared Notes. Click on a client's name to pull up their profile, and then tap Notes at the bottom. Shared notes can be seen by other instructors. 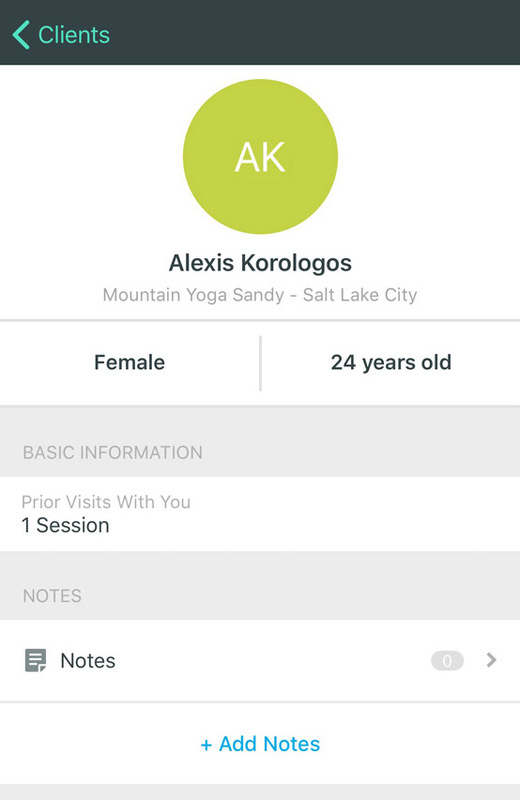 Whenever that client takes another instructors class, your shared note will appear in their profile.